If you check the tags on your undergarments, odds are that you own a pair or two (or more) of Jockey® underwear. The company is the leading undergarment brand in the U.S. department store channel and can be found in major stores such as Macy’s, Lord & Taylor, Belk, JCPenney and Kohl’s. Related brands are sold in stores such as Target and Walmart. Jockey® has a long history of making uber-comfortable and innovative underwear. It was the first company to introduce the men’s brief, way back in 1934. 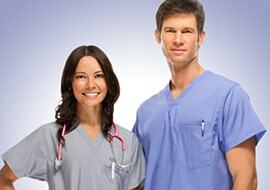 But what you might not know is that Jockey® also manufactures scrubs that are just as comfortable as its underwear. And if you’re not sure about wearing scrubs from an underwear company, trust us. You’ll be won over the second you try them on. They’re the softest scrubs we’ve ever felt. These Jockey® scrubs are created from a Tri-Blend multi-directional stretch fabric that’s made up of 72 percent polyester, 21 percent rayon and 7 percent spandex. This blend of fibers combines the comfort and breathability of cotton with the softness of rayon and the stretchiness of spandex. This combination results in a lightweight, flexible garment that drapes well and moves with you. The slightly looser fit of these scrubs also ensures comfort and durability. Stylish features vary from garment to garment, but they include pockets of all kinds, invisible zippers, vents, drawstrings and even athletic reflective tape. These scrubs come in three fits—women’s, men’s and unisex—as well as a huge variety of colors and prints. Slightly more fitted than the Classic collection, Modern Fit Jockey® scrubs combine chic styling with fashionable details. Made from the same Tri-Blend fabric as the Classic Fit, these scrubs are designed to move and stretch with you. Next-level details only add to the comfort. For example, strategically placed mesh vents on some tops and bottoms keep you cool and dry, while other scrubs feature contrasting fabric inserts or stitching. Princess seaming, tapered waists, v-necklines and shorter lengths on the women’s scrub tops ensure that they flatter female figures while still remaining comfortable. There’s even one pair of scrub bottoms inspired by yoga pants, with a contoured knit waistband that hugs and flatters and side panel waistband inserts for a flattering fit (and who doesn’t want to wear yoga pants to work?!). While you probably don’t want to go straight from work to working out, these athletically-inspired Jockey® scrubs wouldn’t look out of place at the gym or in exercise class. Performance Rx are made from a different fabric blend—93 percent polyester and 7 percent spandex Omni-stretch™ Micro pique moisture-wicking fabric with antimicrobial odor control technology—to help combat sweat and smells during long shifts and to keep odor-causing bacteria from growing on your scrubs. Mesh vents and inserts also work to keep you cool all day, and the seams are carefully placed to move with you naturally rather than pulling and chafing. These scrubs come in modern, energetic colors. 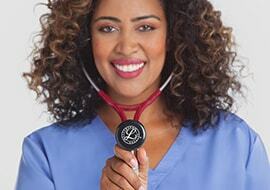 We’d be remiss not to give a shoutout to the men’s line of Jockey® scrubs. Their scrub designs unite utility and comfort in garments that you’ll be able to wear all day long without thinking about it. While men’s scrubs are sprinkled in throughout the other collections, we’ve also collected them all on one landing page for easy browsing. If you’re looking for your next set of men’s scrubs, look no further than Jockey®. Buying Jockey® scrubs guarantees your comfort, literally. If you’re not completely satisfied for any reason, contact customer support and the brand will help you out. If you want 100 percent guaranteed, Jockey® is the way to go. 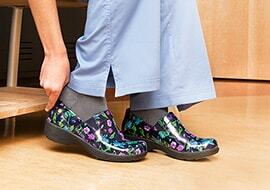 There’s a reason we call them the most comfortable scrubs you’ll ever wear.